This product is available in eBay, Amazon.in. At ebay.in you can purchase JBL C300SI ON EAR BASS WIRED HEADPHONE (BLACK) for only Rs. 589, which is 26% less than the cost in Amazon.in (Rs. 799). 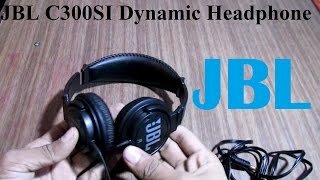 The lowest price of JBL C300SI On-Ear Dynamic Wired Headphones (Black) was obtained on March 20, 2019 5:02 am.